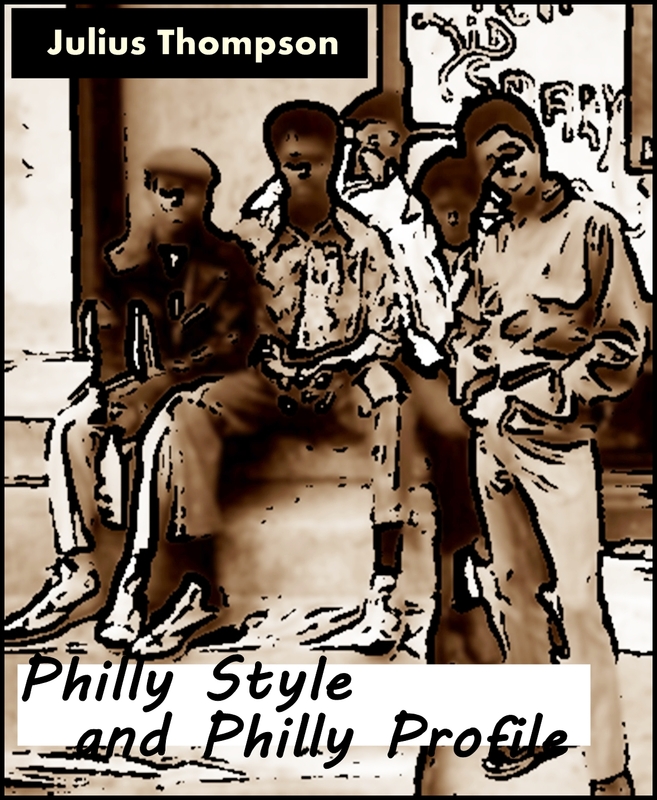 Enjoy the PROLOGUE to Philly Style and Philly Profile and then listen to the audio verstion! Walter Chandler’s legs pumped like automobile-engine pistons as he dodged the occasional newspaper stand with the owner holding out the late afternoon copy of The Philadelphia Bulletin. This was one of the obstacles Walter faced as he sprinted the length of the 69th Street elevated subway station. He skirted past this obstruction like he did when he won the Championship of America hurdles race at the Penn Relays track and field carnival. He squinted in the glare of the late-afternoon sun that streamed through the spaces between the iron beams, supporting the platform. Walter dodged groups of people getting on and off regular scheduled El trains coming from Center City, the heart of downtown, Philadelphia. Walter reached the stairs to the concourse and then the long corridor that led to the platform of the high-speed line that carried commuters to Norristown, a small town on the western side of Philadelphia. Norristown was situated in the direction of the state capitol of Harrisburg. His forearm knocked open one of the swinging doors; he put on a burst of speed that would make Olympian Carl Lewis blush with envy. Walter smiled as he stepped through the train doors and sat down on the black plastic seat. Breathing hard, he closed his eyes for a few moments. He opened them and saw every seat taken except for a few near the front of the car. He heard the conductor yell through the window,” Pull outta here.” The high-speed line car jerked forward, eased out of the 69th Street terminal and headed to Norristown. Walter endured the 30-minute commute, knowing that when he stepped off the train, a phase of his life would end. When he got the telephone message, he was suspicious, but he knew he had to go to Norristown or he wouldn’t find any inner-peace. safe deposit boxes. Walter put the letter in the box, closed it, locked it, and smiled at the bank teller who gave him the lock-box key. He walked away from the vault area of the bank toward the front entrance. Walter had a few minutes before the meeting. When it was over he’d sprint to catch the high-speed line train for the return trip to the 69th Street Market elevated station. After catching the elevated subway to West Philadelphia, he’d relax for the rest of the day. He might even jog over to Franklin Field, near Spruce Street, in West Philly and get in a few laps around the track he’d made famous, five-years ago, on a warm spring day. He laughed as he pushed the revolving door. Walter stepped out of the bank door. He stared straight ahead, across the street, to the pawnshop that had the black and orange sign that advertised discount prices on gold, silver and electronic equipment. The lock-box key felt good in the palm of his hands. He didn’t see the Deuce& and a Quarter Oldsmobile. key and it made a jingling noise as it bounced off the sidewalk curb and into the gutter. His body rested against the steps of the bank. Walter looked up and then closed his eyes as the late-afternoon sunlight washed his lifeless body. Thompson On…The Successful 21st Century Author! Successful twenty-first century authors have three lifestyle components: Passion, Organization, and Uniqueness. Passion: Successful authors love their craft! : The entire novel. As I complete a chapter, I add that chapter building the first draft. Right now, I’m up to Chapter Three in Chasing the Wind! Thompson On…Elements of Novel Writing! J. E. Thompson Speaking at Decatur Book Festival! The novel writing process incorporates elements that must be blended and mastered to create a successful novel. I’ve developed a series of articles that will help you unit these diverse elements together and craft that prize winning book. Once mastered, your readers will know where they are with a setting that has a unique sense of place, populated with a carnival of characters that are believable and invites the reader’s empathy as they face perilous situations, and descriptions that are loaded with specific and vivid details. There are other elements like Point of view and Sub-Plots that are also discussed in separate articles. The information in these articles helped me construct four novels: A Brownstone in Brooklyn, Philly Style and Philly Profile, the national award winning The Ghost of Atlanta and Phantoms of Rockwood. Now, I’m still using this information as I construct my fifth novel, Stormy Winds. 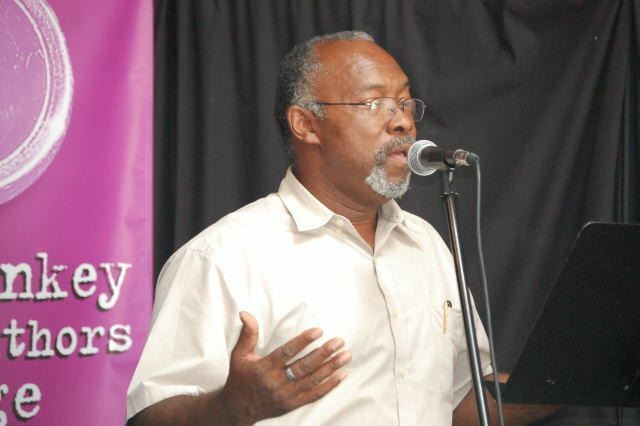 Biography: Mr. Thompson is a former Creative Writing Instructor at Evening at Emory University in Atlanta, Georgia and a National Award Winning Author. Mr. Thompson’s third novel, The Ghost of Atlanta, is a 2011 Gold Medal winning National Award Winner that was recognized by Readers Favorite.